Here’s an infographic constructed by GBC participant Gavin Wedell with a colleague at LBS that shows broadly what the current rankings systems are actually based upon. 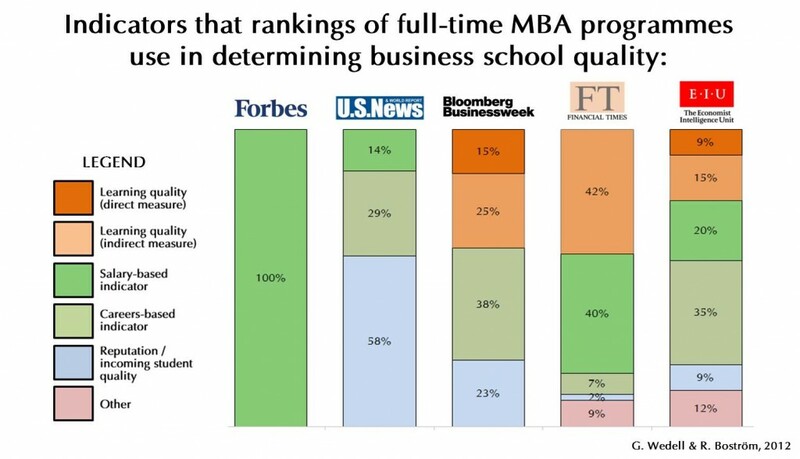 Personal experience and that of friends at other Business Schools has shown that there is a big need for someone to shine light on MBA programme quality. Gavin will be continuing research on the business education quality project that was discussed at GBC2012 in Rochester through the extended GBF community. This entry was posted in Blogs by GBF. Bookmark the permalink.